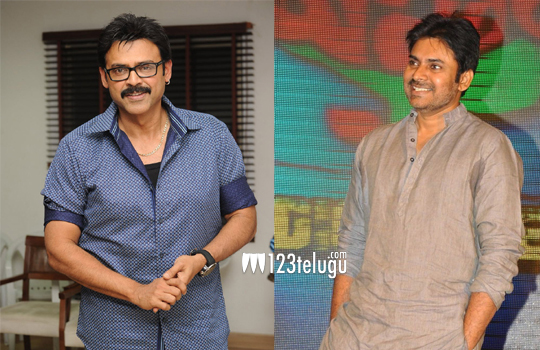 The multi starrer film which is in news for quite some time is Venkatesh and Pavan Kalyan’s Gopala Gopala. Latest news is that this film is officially going to be launched tomorrow at 9am in Ramanaidu Studios. Pavan Kalyan and Venkatesh are likely to attend this function. Shriya is starred opposite Venkatesh in this film which is directed by Dolly. Suresh Babu and Sharath Murar are co producing this remake of Hindi ‘Oh My God’.